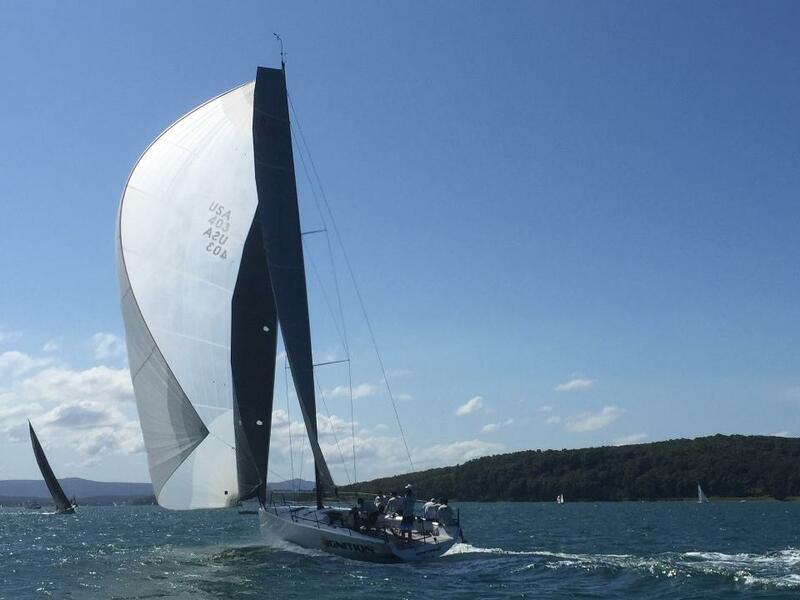 Two more first-time skippers and boats for next January’s Club Marine Pittwater to Coffs Harbour Race will head out of Lake Macquarie on a favourable tide and make their way south to Pittwater for the New Year start of the medium distance coastal race. Ian Bower recently stepped up to a new race boat, a modified Farr 400 perfectly designed for a following breeze. Peter Mayo’s two nephews convinced him buying a Sydney 38 offered the choice of club racing on the Lake and taking the evergreen seaworthy one-design offshore. Lake Macquarie Yacht Club is putting up Bower’s modified F400 called Ignition - named after an Offspring album plus it’s a rare boat name that conjures up plenty of crew talk about firing and lighting up - and Doug Coulter’s Rogers 46 Shakti. The Royal Motor Yacht Club Toronto on the other side of the Lake is behind Mayo’s Sydney 38 campaign with Austral, a name with a century of family history attached. Bower has spent untold time modifying Ignition to be competitive on handicap, but given his rating only a southerly will put them in the hunt for an IRC or ORCi prize. He’s gathered a top team, including some of the former Tow Truck lads, for Ignition’s first offshore stint to the NSW North Coast starting January 2, 2016 under the new skipper’s charge. Mayo stopped ocean racing 15 years ago and credits his comeback to nephews Chris Davidson, Austral’s nominated skipper, and Michael Haywood. Mayo’s grandfather Gus was a founding RMYCT member who in 1918 bought the 16ft skiff called Austral, with the Red Cross as its insignia. In 1965 Peter Mayo called his Flying Ant ‘Austral’ and all the subsequent family boats bore the same moniker. “When I decided to get back into sailing, as a tribute to my father the name of the yacht just had to be Austral!” he commented. Following a recent visit to Coffs Harbour by RPAYC organising committee members, the club is pleased to announce there will be a Mayoral reception for one representative from each boat plus their guest prior to the Monday January 4 trophy presentation at Coffs Harbour Yacht Club. Entries are tracking well with 28 monohulls and three multihulls so far featuring on the starting list. Those still to nominate for the 226 nautical mile coastal race that begins just north of Barrenjoey Headland at 1pm on January 2 have until Friday December 4, 2015. Club Marine, Australia’s largest provider of pleasure craft insurance, is proud to be the naming rights sponsor of the RPAYC’s Pittwater to Coffs Yacht Race for the fourth year.